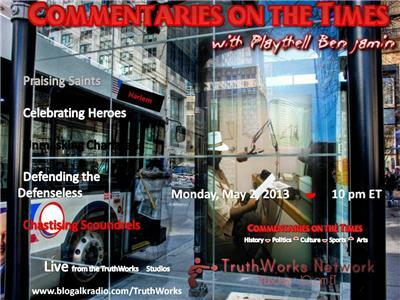 "Commentaries on the Time Radio with Playthell Benjamin"
An exciting Black Voice Collaborative live talk radio line up at TruthWorks Network. 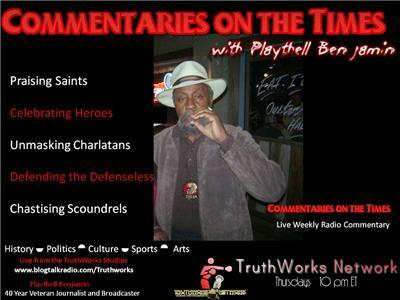 The weekly program features the best of the writings of Playthell Benjamin with commentary from his renowned virtual magazine, “Commentaries On the Times”. 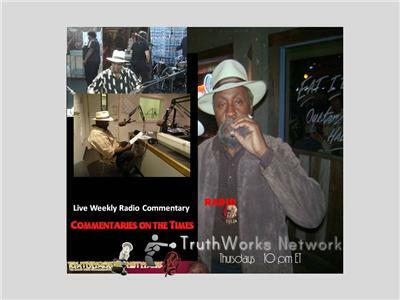 Benjamin brings the scope of 40 years of journalism and broadcasting to TruthWorks. 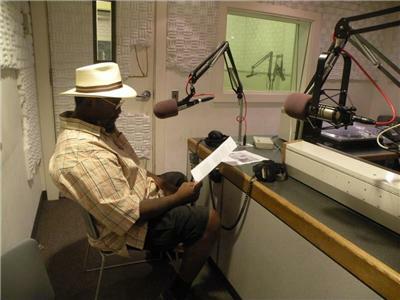 Commentaries on the Times Radio promises the same. 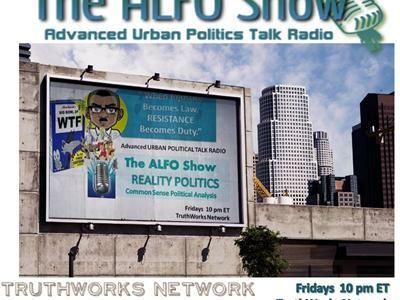 On the Web/Program Notes http://www.commentariesonthetimeradio.wordpress.